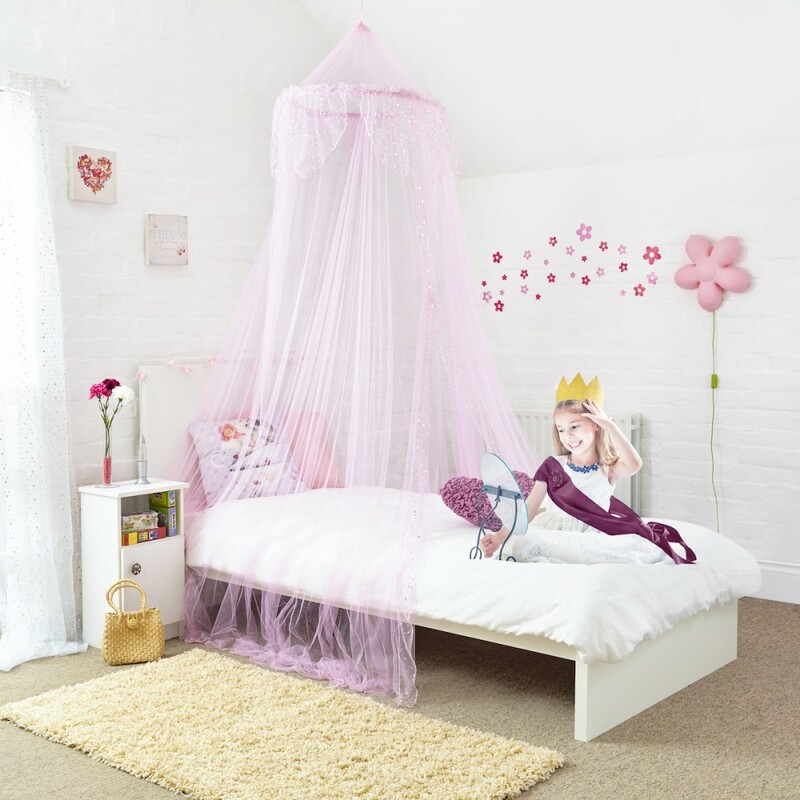 Create a bedroom fit for your little princess. This beautiful silver sequined valance is the perfect accessory to make your little girl's room as special as she is. Pink bed canopy with decorated valance in silver sequins . Centre opening. Size 40x230x1000cm Fittings included. Material: 100% polyester. Cold hand wash only.